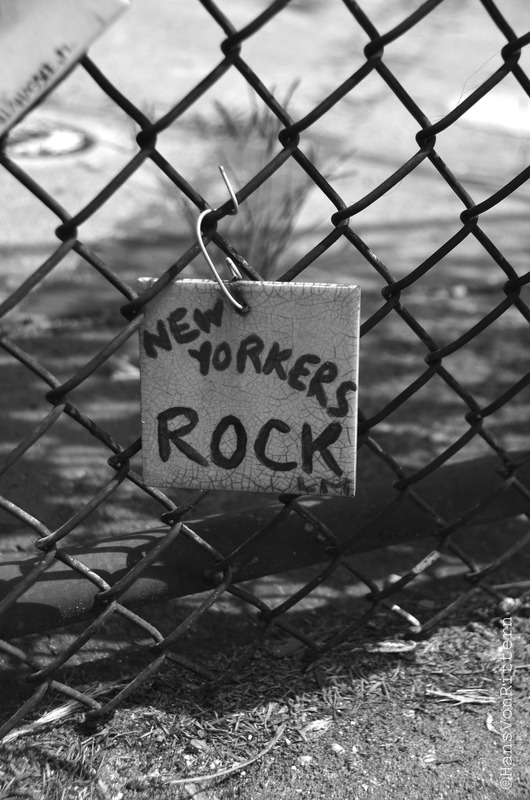 NEW YORKERS ROCK: One of the tiles at ‘Tiles for America’ says it all! This entry was posted on September 12, 2012 by newyorkcityinthewitofaneye. It was filed under DAILY PHOTOS WITH STORIES OF NEW YORK CITY and was tagged with 9/11 memorial, Greenwich Village, Hans Von Rittern, Manhattan, Tiles For America.